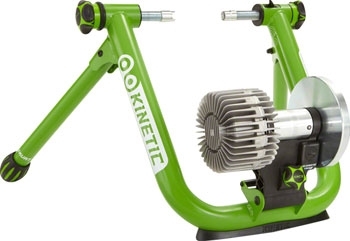 Accurate, affordable and easy to use, Kinetic Introduces new Smart series power trainers for 2015. To achieve your goals you need focus, drive, and the right tools for the job. There is simply no more effective way to reach your fitness goals than power-based interval training. The Kinetic Road Machine | Smart offers a wide range of workout options, from intervals to threshold work to recovery spins with the smoothest, most realistic fluid resistance available. The Kinetic inRide app keeps you on track with built-in workouts and easy upload of workout data for analysis. The freedom of userprogrammable displays, a built-in workout creator and data features as rich as a power meter costing hundreds more, place the Kinetic inRide in a class of its own. 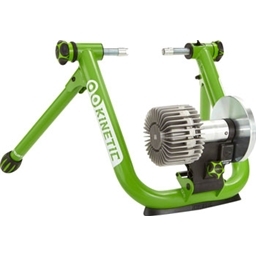 Take control of your training with the Kinetic Road Machine Smart. Smooth operation, easy to install the bike, easy set up to app. App is a little awkward, but that could be due to my inexperience with this kind of equipment. The trainer does what it's advertised to do. It would be great if the app had a "newbie" feature to explain what the different targets are accomplishing.